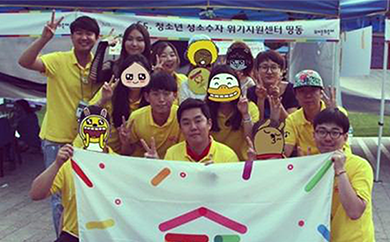 Dong in Ryeon (Solidarity for LGBT Human Rights of Korea) is a Korean LGBTQ organization that was founded in 1997. It strives for a society in which LGBT rights are respected. PlanetRomeo Foundation supports the first phase of Dong In Ryeon’s Rainbow Teen Safe Space project, which focuses on street counseling. Religion-based homophobia is quite strong in South Korea. In effect most LGBT teens hide their sexual identity/orientation. When they decide to actually come out, they often drop out of school or run away from their homes. Currently there’s no place in South Korea where they can get support or help, mainly because the government turns a blind eye to their problems. Homeless LGBT teens often hang out in parks and bars and that’s where the counseling will mainly take place. A counsellor will go out to find these teens once a week and provide them not just with counseling, but also with food and necessities like condoms, underwear, and socks. The counsellor will also conduct in-depth surveys about their situation. Dong in Ryeon wants to help LGBT teens towards healthy self-development and independence. It also wants to present the government of South Korea statistics about homeless LGBT teens, so that it will take responsibility for its citizens and fund shelters for this at risk group.